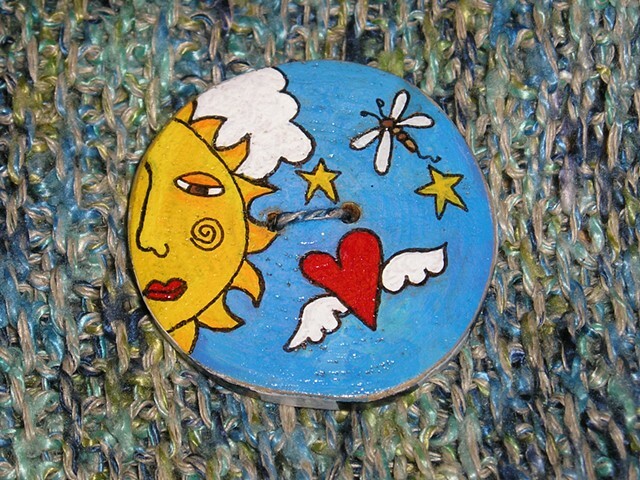 Add a bit of Whimsy with this "Sun and winged Love" button. This whimsical, handmade, hand painted wooden button was inspired by the wonderful folkart designs that I have come across in the past. Add some fun to whatever you wish, to make it truly unique.